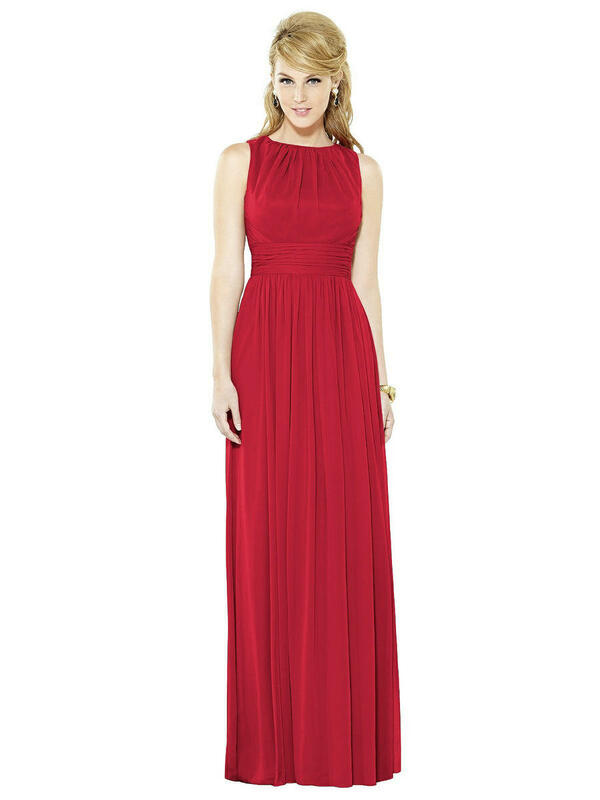 Full length sleeveless lux chiffon dress has open back and shirred detail at bateau neckline. Rhinestone button at back neck closure. Shirred inset midriff and skirt. Sizes 00-30W or 00-30W extra length.